There’s a narrative among the unindoctrated in Australia that 23-year old sprint freestyler Bronte Campbell is somehow 2nd-fiddle to her older sister, 25-year old Cate Campbell, who has been a wunderkind since taking a bronze medal in the 50 free at the 2008 Olympics just past her 16th birthday. The motif of “Bronte being in Cate’s shadow” shows up again, and again, and again in Australian media. On Monday, the penultimate day of the swimming portion of the 2018 Commonwealth Games, that the shadow in the pair’s premier event isn’t as deep as we’ve all been led to believe. Bronte’s win on Monday marked the 4th-consecutive year in which she has had a better finish than her older sister at the country’s primary long course international competition. Cate still has the upper-hand in one major category, that she owns the World Record in the 100 short course meters freestyle with a 50.25 set last October at the Australian Championships. She also recently spent a year as the World Record holder in the 100 free in long course, with a 52.06 done at an innocuous 2016 Australian Grand Prix meet shortly before the Olympics. Bronte has never broken an individual World Record, though both Campbell sisters have swum as part of the recent run of World-Record-breaking 400 free relays (they’ve gotten that mark 3 times, including last week on the Gold Coast). Cate still gets a slight nod in the 50 free, where she broke a National Record and Commonwealth Record in the 50 free (23.78) earlier this week; she was also faster than Bronte at the 2016 Olympics, though Bronte won gold at 2015 Worlds. In the 100 free, though, Bronte has outgrown the very long shadow of her older sister. The Campbell sisters have been so good for so long that it’s easy to forget that they’ll still be at-or-in their prime racing years by the time the Tokyo 2020 Olympics come around. 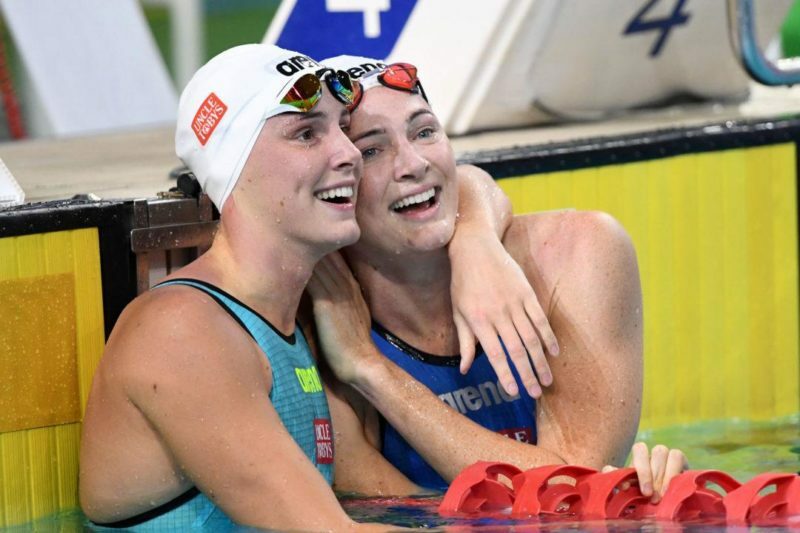 This battle between sisters is one more reminder of the unique nature of the sport of swimming, where teammates can also be rivals; and also of the more common nature of swimming among other sports, where the proof of the pudding takes time to catch up to the first impressions.